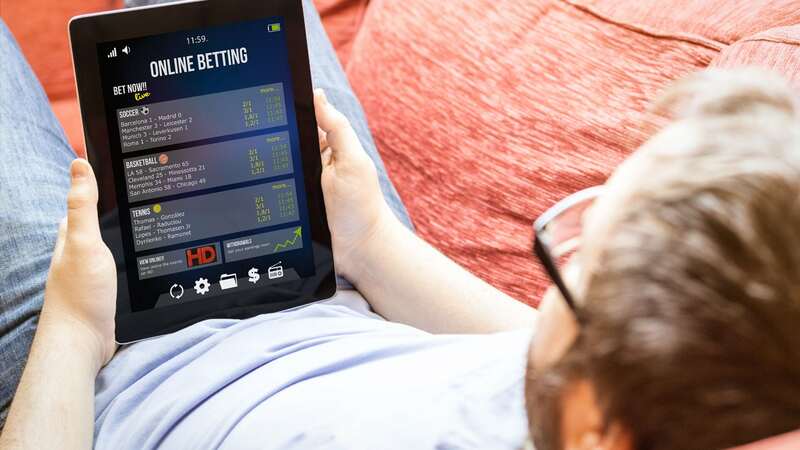 In the past few weeks, sports betting has been legalised in the USA; something which has not been the case for a very long time in much of the country. Some key movements have occurred as a result of this recent announcement with big player betting companies jostling for position and some recent acquisitions taking place, by Star in Canada and Paddy Power out of the UK (reportedly), to position audiences with readymade technologies in order to jump as soon as the green light is given. Having spent a good chunk of the past month in the USA, and speaking with a vast array of industry professionals around this topic, it’s safe to say that this decision has divided opinion and (in my opinion) bought to the surface some misconceptions around what the ramifications of this will be for sport within the USA. Being an Australian sponsorship professional, sports betting has been a vital category in any sponsorship program I have had anything to do with and the betting companies play a key role in the ecosystem which is Australian sport. Having had many conversations with our friends in the USA, there are four themes that are regularly apparent. I thought it useful to add my commentary around those and to try and put some perspective around why, in my opinion, this decision is ultimately going to be a good one for sport in the USA and, given the size of the opportunities, ultimately the world. This is absolutely true and in multiple ways. The cash provided to the leagues and teams, by allowing (if they allow), this new behemoth of a category to actively move into the space, is hard to measure. The money generated, if it follows countries such as Australia and the UK, will help fund full-time referees in the NFL, pathway programs, welfare programs, and open up a whole new opportunity of innovative change which was otherwise not required. I could not disagree with this point more. There is a lot of talk in markets like Australia around underworld figures working with players around match-fixing. The simple fact is, legalised or non-legalised sports betting does not change the fact that criminals exist and move within circles where wealthy and influenceable young people exist. Black market betting is real and, in my opinion, creating legal channels actually provides opportunities to monitor who these people are more closely. In my home country, Australia, the sports betting companies are agents for change and control. It is in their best interests to operate within a controlled market which has stability so that they can control their own ecosystem. As a result, they openly support and contribute to policy ideation, creation, and implementation of things such as siren-to-siren advertising block-outs and situational betting bans. This is a yes and a no for me. Sources I know tell me that they already know that 22m Americans bet on sports outside of America via VPN. So, these people aren’t new. It will bring, however, a higher level of engagement of audience and that, in turn, will result in people more closely following teams and leagues; but not in the way most people think. The higher level of engagement isn’t just around people following their money; it’s around people engaging in new ways to know the wider teams, players, and officials within leagues. For example, within the UK, every year there is promotion and relegation into and out of the Premier League. As soon as teams are seen to be confirmed as securing promotion, their social following sees a huge boost. Why? Not because they have just found a heap of new fans but because fantasy punters are starting their research at the earliest possible time. The engagement with these teams gets deeper from a wider group and, from where I sit in sponsorship, this promotes further commercial growth opportunities back outside the gambling sector given the reach to larger audiences which otherwise wouldn’t have been there. The ability to create exclusive sports-based content between matches to inform of market changes. This includes panel expert shows like we already see on ESPN, where there is discussion around player injuries, team ins and outs, market movements around trade windows, free agency, and coaching appointments. Again, this creates a new and lucrative commercial opportunity outside of the gambling space. Whilst these four comment theme insights are just snippets of the wider conversation, one key and consistent variable amongst my insights, and all other areas is that ultimately the sports themselves need to control the environment. The relationship between the player associations and leagues is a vital one in allowing this change to positively impact sports in the way that it can. Laying some early and strong ground rules is an essential step. No siren-to-siren marketing. The banning of siren-to-siren marketing, supported by the betting companies mind you, eliminates a large chunk of emotion-based betting through advertising messaging being pushed out during a match which could result in impulse bets being placed. This is widely not allowed in Australia. No betting allowed by registered officials. This rule aims at removing match-fixing whereby no registered official (athlete and back or front office staff) are allowed to bet with heavy fines and bans implemented should it occur. No situational betting. The creation of markets where specific outcomes are bet upon is now widely outlawed. Examples of this would be that player X commits a foul in the fourth minute. The USA is a much larger jurisdiction than anywhere else in the world and the stakeholders which need to get together to make this happen are enormous. To push these changes, the leagues are key, the player associations are key and then the teams themselves are key. Why? Because state-based lawmakers need to support the federal decision, sports themselves can then rule it in, and then the multi-layered sporting infrastructure needs to handle the implementation. My original thought is that, and this is due to some socio-economic factors and also due to the sheer size of the market and need for control, is that only the fully pro-leagues should be allowed to introduce sports betting. Although I firmly believe there is more good than bad, there is still some bad, and bad things can creep in. It is, however, much more easily controlled where more attention is placed. Although it is exciting for all involved (especially if you own shares in a betting company; which sadly I do not) there is still a long way to go in order to get it right. If executed well, I truly believe it is a good thing to bring these organisations, who have a different deep understanding of audiences, to the table; but it must be fully inclusive and controlled. My money is on some sports allowing it and others not. Here’s hoping, however, lessons are learned and experts are involved from regions which have successfully been doing it for years because, as a sports fan and sponsorship expert, the upside could be game-changing!